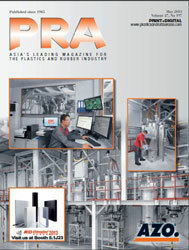 The Rubber industry exhibition, Rubber 2015, is back at PLAST 2015 to be held from 5 to 9 May at the Fiera Milano fairgrounds in Rho-Pero, Italy. Following the success of the previous edition held in 2012, the rubber event, will once more become a venue of knowledge exchange and technology sharing, with a goal for internationalisation. A space increase of 30% is also expected for the upcoming show, compared to its previous edition. Rubber 2015 is an initiative dedicated to the rubber sector and is one of the new and different activities pioneered by the Milan-based trade association Assogomma over the past two years, with the goal of strengthening its role as a reference point for companies in the sector. 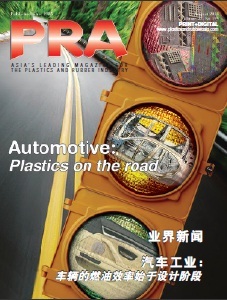 According to the show organiser, Promaplast , the event will be a showcase for the entire rubber sector, from raw materials to compounds and finished products, to machines, equipment and laboratory instruments. For the first time, Assogomma will directly manage applications and stand assignments through its service company, Sviluppo Servizi Gomma Srl and with Promaplast, according to the Association’s Director, Fabio Bertolotti.